In the old days a feature of every classification yard was the caboose track(s) where the rolling offices would get stocked for the next run. 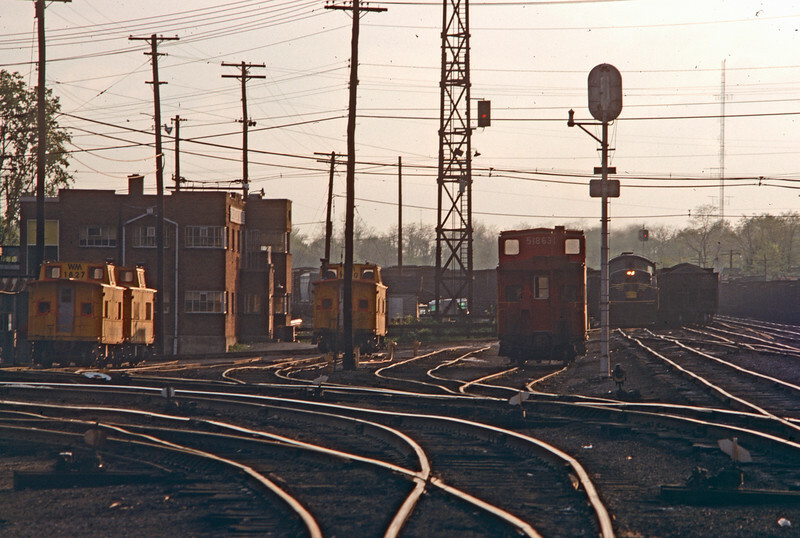 Here's a quiet moment in the Western Maryland yard at Hagerstown, MD with at least four (take your pick) cabeese, hacks, crummys, way cars, cabin cars, vans....the railroaders had no shortage of nicknames for them. Also, lurking in the background is a very rare BL-2 early EMD diesel.